Moe Fencing Foundation (MFF) Inc.
Support budding athletes, consider a donation today. As many of you know, Moe Fencing Foundation (MFF) Inc. is an IRS recognized 501(c)3 charitable organization dedicated to providing high quality Olympic style fencing training to underserved K-12 youth from the Great Boston area. 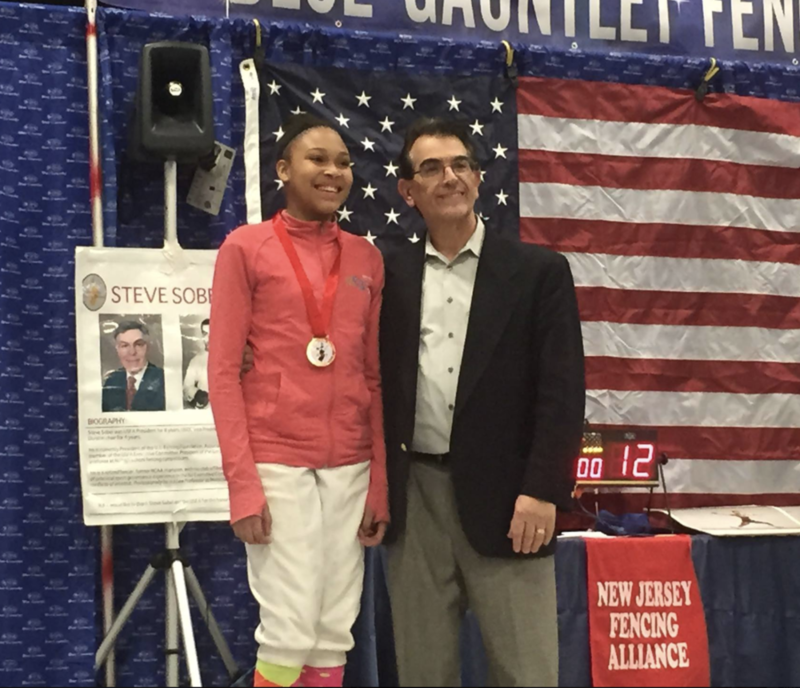 Your generous support scaffolds those in the Moe fencing community who need the extra boost to take lessons, register for and travel to tournaments, as well as meet their equipment and uniform requirements. Last year with the help of MFF Inc. we were able to consistently send four young athletes to high level national and regional competitions where they succeeded in medalling and putting themselves on USA Fencing’s national point standings and attract the interest of NCAA fencing programs. In addition to deserving individual athletes, MFF inc. also supports groups like Dorchester Boys and Girls club, Boston Latin School’s varsity fencing team, and our most recent start-up project in the Community Center at Josiah Quincy Elementary School. Moe Found not only provides the facilities for these groups, but also fulfills the bulk of their equipment and uniform needs. To round out Moe Foundation contributions with an academic component, last year we added a scholarship award which to date has gifted two of our athletes with a small boost to their college funding needs in the amount of $750 each. As you can see, we are getting sincerely ambitious in our desire to support all aspects of these hard working athletes’ lives! Any and all contributions are welcome and will be greatly appreciated. As your gift is tax deductible, we will happily prove you a recognition letter with Moe Fencing Foundation’s tax ID number upon receipt of your donation. We are grateful for your kind consideration and support. Trustees, Moe Fencing Foundation Inc.
We would welcome your spreading the word to anyone you think would like to help out.